This heading in the the newspaper today caught my eye. Reading the rest of the story triggered a strong emotional response: anger. My inner chimp was not happy. Not happy at all. So I took my chimp for a walk and we had a long chat and this is the story that emerged. 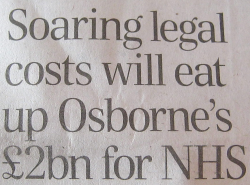 The first trigger was the eye-watering fact that the NHS is facing something like a £26 billion litigation cost. That is about a quarter of the total NHS annual budget! The second was the fact that the litigation bill has increased by over £3 billion in the last year alone. The third was that the extra money will just fall into a bottomless pit – the pockets of legal experts – not to where it is intended, to support overworked and demoralised front-line NHS staff. GPs, nurses, AHPs, consultants … the ones that deliver care. That is why my chimp was so upset. And it sounded like righteous indignation rather than irrational fear. So what is the root cause of this massive bill? A more litigious society? Ambulance chasing lawyers trying to make a living? Dishonest people trying to make a quick buck out of a tax-funded system that cannot defend itself? And what is the plan to reduce this cost? This sounds very plausible but to achieve it requires knowing when we are wrong or right. Generally we all think we are right until we are proved wrong. It is the way our brains are wired. We are more sure about our ‘rightness’ than the evidence suggests is justified. We are naturally optimistic about our view of ourselves. 1) To make a mistake. 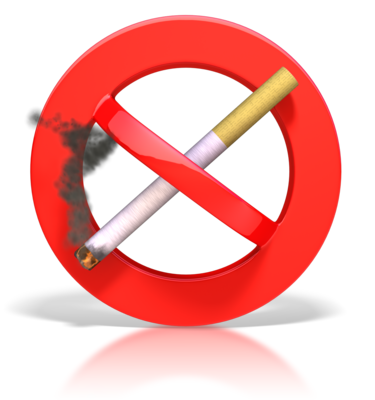 2) For that mistake to lead to psychological or physical harm. 3) For the harm to be identified. 4) For the cause of the harm to be traced back to the mistake we made. 5) For the evidence to be used to hold us to account, (to apologise and learn). And that is all hunky-dory when we are individually inept and we make avoidable mistakes. But what happens when the harm is the outcome of a combination of actions that individually are harmless but which together are not? What if the contributory actions are sensible and are enforced as policies that we dutifully follow to the letter? Who is held to account? Who needs to apologise? Who needs to learn? Someone? Anyone? Everyone? No one? The person who wrote the policy? The person who commissioned the policy to be written? The person who administers the policy? The person who follows the policy? How can that happen if the policies are individually harmless but collectively lethal? The error here is one of a different sort. It is called an ‘error of omission’. The harm is caused by what we did not do. And notice the ‘we’. What we did not do is to check the impact on others of the policies that we write for ourselves. The governance department of a large hospital designs safety policies that if not followed lead to disciplinary action and possible dismissal. That sounds like a reasonable way to weed out the ‘bad apples’ and the policies are adhered to. At the same time the operations department designs flow policies (such as maximum waiting time targets and minimum resource utilisation) that if not followed lead to disciplinary action and possible dismissal. That also sounds like a reasonable way to weed out the layabouts whose idleness cause queues and delays and the policies are adhered to. And at the same time the finance department designs fiscal policies (such as fixed budgets and cost improvement targets) that if not followed lead to disciplinary action and possible dismissal. Again, that sounds like a reasonable way to weed out money wasters and the policies are adhered to. 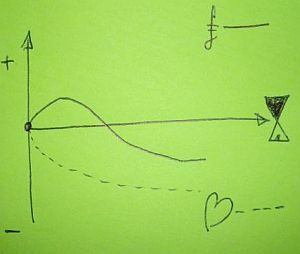 What is the combined effect? The multiple safety checks take more time to complete, which puts extra workload on resources and forces up utilisation. As the budget ceiling is lowered the financial and operational pressures build, the system heats up, stress increases, corners are cut, errors slip through the safety checks. More safety checks are added and the already over-worked staff are forced into an impossible position. Chaos ensues … more mistakes are made … patients are harmed and justifiably seek compensation by litigation. Everyone loses (except perhaps the lawyers). So why was my inner chimp really so unhappy? Because none of this is necessary. This scenario is avoidable. Reducing the pain of complaints and the cost of litigation requires setting realistic expectations to avoid disappointment and it requires not creating harm in the first place. That implies creating healthcare systems that are inherently safe, not made not-unsafe by inspection-and-correction. And it implies measuring and sharing intended and actual outcomes not just compliance with policies and rates of failure to meet arbitrary and conflicting targets. So if that is all possible and all that is required then why are we not doing it? Simple. We never learned how. We never knew it is possible. So how is the decision made? Bitter experience teaches us that often there is an argument about what to do and when to do it. An argument between two factions. Both are motivated by a combination of anger and fear. One side is motivated more by anger than fear. They vote for action because of the urgency of the present problem. The other side is motivated more by fear than anger. They vote for inaction because of their fear of future failure. The outcome is unhappiness for everyone. If the ‘action’ party wins the vote and a failure results then there is blame and recrimination. If the ‘inaction’ party wins the vote and a failure results then there is blame and recrimination. If either party achieves a success then there is both gloating and resentment. Lose Lose. The issue is not the decision and how it is achieved.The problem is the battle. Dr Steve Peters is a psychiatrist with 30 years of clinical experience. He knows how to help people succeed in life through understanding how the caveman wetware between their ears actually works. In the run up to the 2012 Olympic games he was the sports psychologist for the multiple-gold-medal winning UK Cycling Team. The World Champions. And what he taught them is described in his book – “The Chimp Paradox“. Steve brilliantly boils the current scientific understanding of the complexity of the human mind down into a simple metaphor. One that is accessible to everyone. There are actually two ‘beings’ inside our heads. The Chimp and the Human. The Chimp is the older, stronger, more emotional and more irrational part of our psyche. The Human is the newer, weaker, logical and rational part. Also inside there is the Computer. It is just a memory where both the Chimp and the Human store information for reference later. Beliefs, values, experience. Stuff like that. Stuff they use to help them make decisions. And when some new information arrives through our senses – sight and sound for example – the Chimp gets first dibs and uses the Computer to look up what to do. Long before the Human has had time to analyse the new information logically and rationally. By the time the Human has even started on solving the problem the Chimp has come to a decision and signaled it to the Human and associated it with a strong emotion. Anger, Fear, Excitement and so on. The Chimp operates on basic drives like survival-of-the-self and survival-of-the-species. So if the Chimp gets spooked or seduced then it takes control – and it is the stronger so it always wins the internal argument. But the human is responsible for the actions of the Chimp. As Steve Peters says ‘If your dog bites someone you cannot blame the dog – you are responsible for the dog‘. So it is with our inner Chimps. Very often we end up apologising for the bad behaviour of our inner Chimp. Because our inner Chimp is the stronger we cannot ‘control’ it by force. We have to learn how to manage the animal. We need to learn how to soothe it and to nurture it. And we need to learn how to remove the Gremlins that it has programmed into the Computer. Our inner Chimp is not ‘bad’ or ‘mad’ it is just a Chimp and it is an essential part of us. 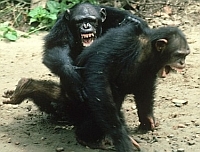 Real chimpanzees are social, tribal and territorial. They live in family groups and the strongest male is the boss. And it is now well known that a troop of chimpanzees in the wild can plan and wage battles to acquire territory from neighbouring troops. With casualties on both sides. And so it is with people when their inner Chimps are in control. A hospital is failing one of its performance targets – the 18 week referral-to-treatment one – and is being threatened with fines and potential loss of its autonomy. The fear at the top drives the threat downwards. Operational managers are forced into action and do so using strategies that have not worked in the past. But they do not have time to learn how to design and test new ones. They are bullied into Plan-Do mode. The hospital is also required to provide safe care and the Plan-Do knee-jerk triggers fear-of-failure in the minds of the clinicians who then angrily oppose the diktat or quietly sabotage it. This lose-lose scenario is being played out in 100’s if not 1000’s of hospitals across the globe as we speak. The evidence is there for everyone to see. The inner Chimps are in charge and the outcome is a turf war with casualties on all sides. So how does The Chimp Paradox help dissolve this seemingly impossible challenge? First it is necessary to appreciate that both sides are being controlled by their inner Chimps who are reacting from a position of irrational fear and anger. This means that everyone’s behaviour is irrational and their actions likely to be counter-productive. What is needed is for everyone to be managing their inner Chimps so that the Humans are back in control of the decision making. That way we get wise decisions that lead to effective actions and win-win outcomes. Without chaos and casualties. To do this we all need to learn how to manage our own inner Chimps … and that is what “The Chimp Paradox” is all about. That is what helped the UK cyclists to become gold medalists. In the scenario painted above we might observe that the managers are more comfortable in the Pragmatist-Activist (PA) half of the learning cycle. The Plan-Do part of PDSA – to translate into the language of improvement. The clinicians appear more comfortable in the Reflector-Theorist (RT) half. The Study-Act part of PDSA. And that difference of preference is fueling the firestorm. Improvement Science tells us that to achieve and sustain improvement we need all four parts of the learning cycle working smoothly and in sequence. So what at first sight looks like it must be pitched battle which will result in two losers; in reality is could be a three-legged race that will result in everyone winning. But only if synergy between the PA and the RT halves can be achieved. And that synergy is achieved by learning to respect, understand and manage our inner Chimps. All intentional improvement implies change. Change requires deliberate action – thinking about change is not enough. Action implies control of physical objects and, despite what we might like to believe, the only things that are under our personal control are our beliefs, our attitudes, our behaviours and our actions. Everything else can only be changed through some form of indirect influence. Our Circle of Control appears to extends only to our skin – beyond that is our Sphere of Influence – and beyond that is our Region of Concern. Very few of us live a solitary existence as a hermit. The usual context for improvement is social and therefore to achieve improvement outside ourselves we need to influence the beliefs, attitudes, behaviours and actions of others. And we can only do that through our own behaviour and actions. We cannot do telepathy or mind-control. And remember, we are being influenced by others – it is a two-way street. So when we receive a push-back to our attempted change-for-the-better action, we have failed to influence in a positive sense and the intended improvement cannot happen. Those who oppose our innovation usually belong to one of two tribes – the Skeptics and the Cynics – and they have much in common. They both operate from a position of doubt and a belief that they are being deliberately deceived. They distrust, discount, question, analyse, critique and they challenge. They do not blindly believe our rhetoric. Could we find a region of the Sphere of Influence that has few or no Skeptics and Cynics? Is there a place where they do not like to live because the cultural climate is not to their taste? We have an option – we can explore the Sphere of Influence. At one pole we discover a land called Apathy. It is a barren place where nothing changes; it is devoid of ideas and innovation; it is passionless, monotonous, stable, predictable, safe and boring. The Skeptics and Cynics do not like it there because there is none of their favourite food – Innovator Passion – which is where they derive their energy and their sport. 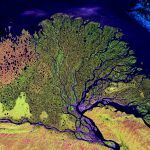 At the other pole we discover a land called Assertion – and we discover that the Skeptics and Cynics do not like it there either but for a different reason. In Assertion there is abundant passion and innovation, but also experimentation and reflection and the ideas are fewer but come packaged with a tough shell of hard evidence. This makes them much less palatable to the Skeptics because they have to chew hard for little gain. The Cynics shun the place. At the end of our journey we have learned that the two tribes prefer to live in the temperate zone between Apathy and Assertion where there is an abundant supply of innocent, passionate, innovators with new ideas and no evidence. The Skeptics and Cynics frustrate the inexperienced Innovators who become inflamed with passion which is what the two tribes feed on, and when finally exhausted the Innovators fall easy prey to the Cynics – who convert and enslave them. It is a veritable feeding frenzy – and the ultimate casuality is improvement. So what is the difference between the Skeptics and the Cynics? Despite their behaviour the Skeptics do care – they are careful. They are the guardians of stability and their opinion is respected because they help to keep the Sphere safe. They are willing to be convinced – but they want explanation and evidence. Rhetoric is not enough. The Cynics follow a different creed. Their name derives from the Greek for dog and it is not a term of endearment. They have lost their dreams. They blame others for it and their goal is vengeance. They are remorseless, and shameless. They shun social norms and reasonable behaviour and they are not respected by others. They do not care. They are indifferent. So the wise Improvement Scientist needs to be able to distinguish the Skeptics from the Cynics – and to learn to value the strengths of the Skeptics and to avoid the Cynics. The deal they negotiate with the Skeptics is: “In return for a steady supply of ideas and enthusiasm we ask only for an explanation of the rejections”. It is a fair trade. The careful and considered feedback of the Skeptics is valuable to the Improvement Scientist because it helps to sharpen the idea and harden the shell of evidence. Once the Innovator, Improvement Scientist and the Skeptic have finished their work any ideas that have survived the digestive process are worthy of investment. 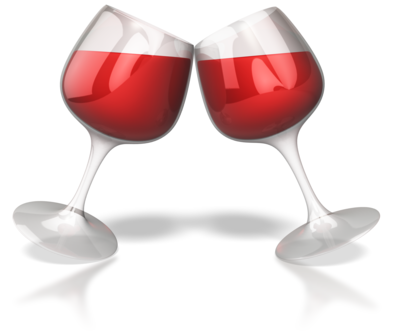 It is a a win-win-win arrangement – everyone gets what they want. The Cynics scavenge the scraps. And that is OK – it is their choice. Where is the Rotten Egg? Have you ever had the experience of arriving home from a holiday – opening the front door and being hit with the rancid smell of something that has gone rotten while you were away. When that happens we open the windows to let the fresh-air blow the smelly pong out and we go in search of the offending source of the horrible whiff. Somewhere we know we will find the “rotten egg” and we know we need to remove it because it is now beyond repair. What happened here is that our usual, regular habit of keeping our house clean was interrupted and that allowed time for something to go rotten and to create a nasty stink. It may also have caused other things to go rotten too – decay spreads. Usually we maintain an olfactory vigilance to pick up the first whiff of a problem and we act before the rot sets in – but this only works if we know what fresh air smells like, if we remove the peg from our nose, and if we have the courage to remove all of the rot. Permfuing the pig is not an effective long term strategy. The rotten egg metaphor applies to organisations. The smell we are on the alert for is the rancid odour of a sour relationship, the signal we sense is the dissonance of misery, and the behaviours we look for are those that erode trust. These behaviours have a name – they are called discounts – and they come in two types. Type 1 discounts are our deliberate actions that lead to erosion of trust – actions like interrupting, gossiping, blaming, manipulation, disrespect, intimidation, and bullying. 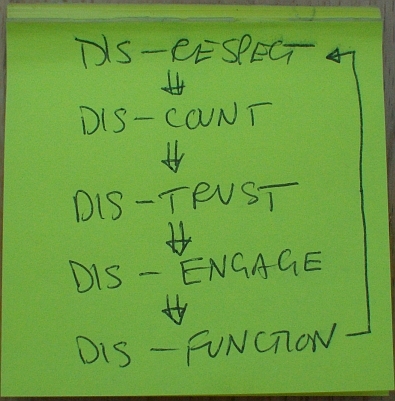 Type 2 discounts are the actions that we deliberately omit to do that also cause erosion of trust – like not asking for and not offering feedback, like not sharing data, information and knowledge, like not asking for help, like not saying thank you, like not challenging assumptions, like not speaking out when we feel things are not right, like not getting the elephant out in the room. These two types of discounts are endemic in all organisations and the Type 2 discounts are the more difficult to see because it was what we didn’t do that led to the rot. We must all maintain constant vigilance to sniff out the first whiff of misery and to act immediately and effectively to sustain a pong-free organisational atmosphere. Posted in Reflections, Stories, Techniques, Theory, Transactional Analysis, Trust | Comments Off on Where is the Rotten Egg? Anyone for more Boiled Frog? There is a famous metaphor for the dangers of denial and complacency called the boiled frog syndrome. 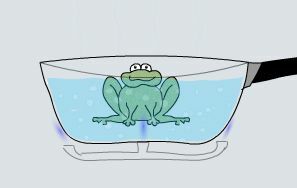 Apparently if you drop a frog into hot water it will notice and jump out but if you put a frog in water at a comfortable temperature and then slowly heat it up it will not jump out – it does not notice the slowly rising temperature until it is too late – and it boils. The metaphor is used to highlight the dangers of not being aware enough of our surroundings to notice when things are getting “hot” – which means we do not act in time to prevent a catastrophe. There is another side to the boiled frog syndrome – and this when improvements are made incrementally by someone else and we do not notice those either. This is the same error of complacency and there is no positive feedback so the improvement investment fizzles out – without us noticing that either. This is a disadvantage of incremental improvement – we only notice the effect if we deliberately measure at intervals and compare present with past. Not many of us appear to have the foresight or fortitude to do that. We are the engineers of our own mediocrity. There is an alternative though – it is called improvement-by-design. The difference from improvement-by-increments is that with design you deliberately plan to make a big beneficial change happen quickly – and you can do this by testing the design before implementing it so that you know it is feasible. When the change is made the big beneficial difference is noticed – WOW! – and everyone notices: supporters and cynics alike. Their responses are different though – the advocates are jubilant and the cynics are shocked. The cynics worldview is suddenly challenged – and the feeling is one of positive confusion. They say “Wow! That’s a miracle – how did you do that?”. So when we understand enough to design a change then we should use improvement-by-design; and when we don’t understand enough we have no choice but to do use improvement-by-discovery. Posted in Reflections, Stories, Theory, Transactional Analysis | Comments Off on Anyone for more Boiled Frog? Sickness, illness, ill health, unhealthy, disease, disorder, distress are all words that we use when how we feel falls short of how we expect to feel. The words impliy an illness continuum and each of us appeara to use different thresholds as action alerts. The first is crossed when we become aware that all is not right and our response and to enter a self-diagnosis and self-treatment mindset. This threshold is context-dependent; we use external references to detect when we have strayed too far from the norm – we compare ourselves with others. 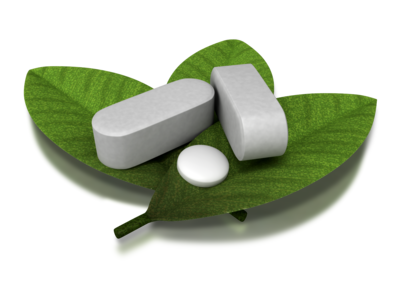 This early warning system works most of the time – after all chemists make their main business from over the counter (OTC) remedies! If the first stage does not work we cross the second threshold when we accept that we need expert assistance and we switch into a different mode of thinking – the “sick role”. Crossing the second threshold is a big psychological step that implies a perceived loss of control and power – and explains why many people put off seeking help. They enter a phase of denial, self-deception and self-justification which can be very resistant to change. 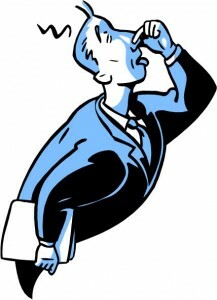 The same is true of organisations – when they become aware that they are performing below expectation then a “self-diagnosis” and “self-treatment” is instigated, except that it is called something different such as an “investigation” or “root cause analysis” and is followed by a “recommendations” and an “action plan”. The requirements for this to happen are an ability to become aware of a problem and a capability to understand and address the root cause both effectively and efficiently. This is called dynamic stability or “homeostasis” and is a feature of many systems. 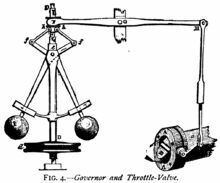 The image of a centrifugal governor is a good example – it was one of the critical innovations that allowed the power of steam to be harnessed safely a was a foundation stone of the industrial revolution. The design is called a negative feedback stabiliser and it has a drawback – there may be little or no external sign of the effort required to maintain the stability. Problems arise when parts of this expectation-awareness-feedback-adjustment process are missing, do not work, or become disconnected. If there is an unclear expectation then it is impossible to know when and how to react. Not being clear what “healthy” means leads to confusion. It is too easy to create a distorted sense of normality by choosing a context where everyone is the same as you – “birds of a feather flock together”. Another danger is to over-simplify the measure of health and to focus on one objective dimension – money – with the assumption that if the money is OK then the system must be OK. This is an error of logic because although a healthy system implies healthy finances, the reverse is not the case – a business can be both making money and heading for disaster. Failure can also happen if the most useful health metrics are not measured, are measured badly, or are not communicated in a meaningful way. Very often metrics are not interpreted in context, not tracked over time, and not compared with the agreed expectation of health. These multiple errors of omission lead to conterproductive behaviour such as the use of delusional ratios and arbitrary targets (DRATs), short-termism and “chasing the numbers” – all of which can further erode the underlying health of the system – like termites silently eating the foundations of your house. By the time you notice it is too late – the foundations have crumbled into dust! To achieve and maintain systemic health it is necessary to include the homeostatic mechanisms at the design stage. Trying to add or impose the feedback functions afterwards is less effective and less efficient. A healthy system is desoigned with sensitive feedback loops that indicate the effort required to maintain dynamic stablity – and if that effort is increasing then that alone is cause for further investigation – often long before the output goes out of specification. Healthy systems are economic and are designed to require a minimum of effort to maintain stability and sustain performance – good design feels effortless compared with poor design. A system that only detects and reacts to deviations in outputs is an inferior design – it is like driving by looking in the rear-view mirror! Healthy systems were designed to be healthy from the start or have evolved from unhealthy ones – the books by Jim Collins describes this: “Built to Last” describes organisations that have endured because they were destined to be great from the start. “Good to Great” describes organisations that have evolved from unremarkable performers into great performers. There is a common theme to great companies irrespective of their genesis – data, information, knowledge, understanding and most important of all a wise leader. It’s Not the People it’s the Process! Doing the same thing repeatedly and expecting a better result might be called practice, perseverance, persistence, even patience; it might also be called futility or even madness. We know that sometimes persistence pays off, and sometimes it doesn’t, so how do we know which is which? Very often this problem is disguised – for example when we want a better outcome of a process. It is easy to assign blame for poor outcomes to people because of the cause-and-effect chain that you can trace back from an obvious mistake – but it is always valid to do this? Suppose I repeat the same actions and occasionally get a poor outcome – checking for the mistake and when it happens tracing the audit trail back to the action of a specific person is of little value in this case because it doesn’t expose the true root cause. Outcomes are usually the result of cumulative actions and it is difficult or impossible to separate out the contributions. So, the only rational way to improve outcome is to improve every part of the process proactively. And if there is a bad apple in the barrel it is much easier to spot when the rest of the apples are good than when all the apples are a bit bruised. Posted in Reflections, Transactional Analysis | Comments Off on It’s Not the People it’s the Process! Are we Stuck in a Toxic Emotional Waste Swamp? Have you ever had the uncomfortable experience of joining a new group of people and discovering that your usual modus operandi does not seem to fit? Have you ever experienced the pain of a behavioural expectation mismatch – a clash of culture? What do we do when that happens? Do we keep quiet, listen and try to work out the expected behaviours by observing others and then mimic their behaviour to fit in? Do we hold our ground, stay true to our norms and habits and challenge the group? Do we just shrug, leave and not return? The other side of this common experience is the effect on the group of a person who does not match the behavioural norms of the group. Are they regarded as a threat or an opportunity? Usually a threat. But a threat to whom? It depends. And it primarily depends on the emotional state of the chief, chair or boss of the group – the person who holds the social power. We are social animals and we have evolved over millions of years to be hard-wired to tune in to the emotional state of the pack leader – because it is a proven survival strategy! If the chief is in a negative emotional state then the group will be too and a newcomer expressing a positive emotional outlook will create an emotional tension. People prefer leaders who broadcast a positive emotional state because it makes them feel happier; and leaders are attracted by power – so in this situation the chief will perceive a challenge to the balance of power and will react by putting the happy newcomer firmly in their place in the pecking order. The group observe the mauling and learn that a positive emotional attitude is an unsuccessful strategy to gain favour with the chief – and so the status quo is maintained. The toxic emotional waste swamp gets a bit deeper, the sides get a bit more slippery, and the emotional crocodiles who lurk in the murk get a tasty snack. Yum yum – that’ll teach you to be happy around here! If the chief has a uniformly positive emotional approach then the group will echo that and a newcomer expressing a negative emotional state creates a different tension. The whole group makes it clear that this negative behaviour is unwelcome – they don’t want someone spoiling their cosy emotional oasis! And the status quo is maintained again. Unfortunately, the only difference between this and the previous example is that this only-happy-people-allowed-here group is drowning in emotional treacle rather than emotional turds. It is still an emotional swamp and the outcome is the same – you get stuck in it. This either-or model is not a successful long-term strategy because it does not foster learning – it maintains the status quo – tough-minded or touch-feely – pessimistic or optimistic – but not realistic. Effective learning only happens when the status quo is challenged in a way that respects both the power and authority of the chief and of the group – and the safest way to do that is to turn to reality for feedback and to provide the challenge to the group. To do this in practice requires a combination of confidence and humility by both the chief and the group: the confidence to reject complacency and to face up to reality and the humility to employ what is discovered to keep moving on, to keep learning, to keep improving. Reality will provide both positive and negative feedback (“Nuggets” and “Niggles”) and the future will hold both positive and negative challenges (“Nice-Ifs” and “Noo-Noos”). Effective leaders know this and are able to maintain the creative tension. 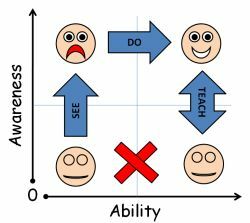 For those of us who are learning to be more effective leaders perhaps the routes out of our Toxic Emotional Waste Swamps are drawn on our 4N charts? Posted in Examples, Questions, Reflections, Theory, Tools, Transactional Analysis | Comments Off on Are we Stuck in a Toxic Emotional Waste Swamp? Just two, innocent-looking, three-letter words. So what is the big deal? If you’ve been a parent of young children you’ll recognise the feeling of desperation that happens when your pre-schooler keeps asking the “But why?” question. You start off patiently attempting to explain in language that you hope they will understand, and the better you do that the more likely you are to get the next “But why?” response. Eventually you reach the point where you’re down to two options: “I don’t know!” or “Just because!”. How are you feeling now about yourself and your young interrogator? The troublemaker word is “but”. 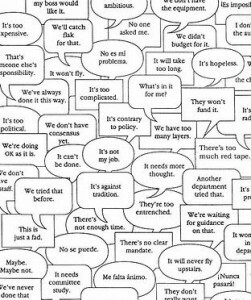 A common use of the word “but” in normal conversation is “Yes … but …” such as in “I hear what you are saying but …”. What happens inside your head when you hear that? Does it niggle? Does the red mist start to rise? Used in this way the word “but” reveals a mental process called discounting – and the message that you registered unconsciously is closer to “I don’t care about you and your opinion, I only care about me and my opinion and here it comes so listen up!”. This is a form of disrespectful behaviour that often stimulates a defensive response – even an argument – which only serves to further polarise the separate opinions, to deepen the mutual disrespect, and to erode trust. It is a self-reinforcing negative-outcome counter-productive behaviour. The trickster word is “why?” When someone asks you this open-ended question they are often just using it as a shortcut for a longer series of closed, factual questions such as “how, what, where, when, who …”. We are tricked because we often unconsciously translate “why?” into “what are your motives for …” which is an emotive question and can unconsciously trigger a negative emotional response. We then associate the negative feeling with the person and that hardens prejudices, erodes trust, reinforces resistance and fuels conflict. My intention in this post is only to raise conscious awareness of this niggle. If you are curious to test this youself – try consciously tuning in to the “but” and “why” words in conversation and in emails. See if you can consciously register your initial emotional response – the one that happens in the split second before your conscious thoughts catch up. Then ask youself the question “Did I just have a positive or a negative feeling? Posted in Examples, Questions, Reflections, Techniques, Theory, Transactional Analysis, Trust | Comments Off on But Why? Do you ever go into places where there is a feeling of uneasiness? You can feel it almost immediately – there is something in the room that no one is talking about. An invisible elephant in the room, a rotting something under the table. This week I have been pondering the cause of this dis-ease and my eureka moment happened while re-reading a book called “The Speed of Trust” by Stephen R. Covey. A common elephant-in-the-room appears to be distrust and this got me thinking about both the causes of distrust and the effects of distrust. My doodle captures the output of my musing. 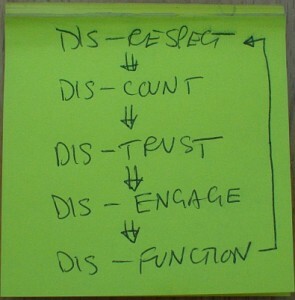 For me, a potent cause of distrust is to be discounted; and discounting comes from disrespect. This can happen both within yourself and between yourself and others. If you feel un-trust-worthy then you tend to disengage; and by disengaging the system functions less well – it becomes dysfunctional. Dysfunction erodes respect and so on around the vicious circle. This then led me to the question: Why haven’t we all drowned in our own distrust by now? I believe what happens is that we reach an equilibrium where our level of trust is stable; so there must be a counteracting trust-building force that balances the trust-eroding force. That trust-building force seem to comes from our day-to-day social interactions with others. The Achilles Heel of negative-cause-effect circles is that you can break into them at many points to sap their power and reduce their influence. So, one strategy might be to identify the Errors of Commission that create the Disease of Distrust. Consider the question: “If I have developed a high level of trust then what could I do to erode it as quickly as possible?”. Disrespectful attitude and discounting behaviour would be all that is needed to start the vicious downward spiral of distrust disease. Who of us never disrespects or discounts others? Are we all infected with the same disease? Is there a cure or can we only expect to hold it in remission? How can we strengthen our emotional immune systems and neutralise the infective agents of the Disease of Distrust? Do we just need to identify and stop our trust eroding behaviour? Posted in Books, Examples, Questions, Reflections, Techniques, Transactional Analysis, Trust | Comments Off on What is the Dis-Ease?